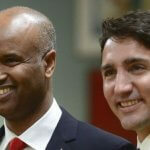 The Federal Skilled Trades Program or FSTP is one of the three programs which help international skilled workers to get jobs and permanent residence in Canada. This program is managed by the Express Entry Canada online platform. The FSTP gives skilled workers of different backgrounds the opportunity to submit their profiles and get a chance to be invited to apply for a visa. It works similarly to a lottery, but the chances of being selected are quite high since Canada has labor shortages in different occupations. 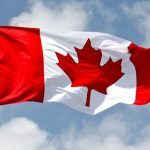 Each year, the Canadian Government publishes a list of skilled trades that are in shortage in the country and internationals as well as those who are on temporary work permits can submit their profiles and wait to see if they are picked. The skilled trades are in accordance with Canada’s National Occupational Classification (NOC) list. If you become a permanent resident through the Federal Skilled Trades Canada Program, then you can work and live in Canada. 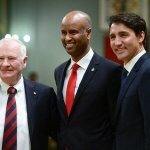 After a few years, you will also have the chance to become a Canadian citizen. Each year, 3,000 people are invited to apply for permanent residence in the Federal Skilled Trades Program from 26 occupations. Out of these 26 occupations, 17 occupations are limited to 100 people while the rest do not have any limits. What are the requirements for the Federal Skilled Trades Program? To be eligible for the FSTP, you must fulfill 6 types of eligibility criteria. Have a job offer for full-time work by a Canadian employer for at least 1 year or a certificate of qualification that you are skilled in a trade. The certificate of qualification must be issued by a provincial, territorial, or federal Canadian authority. In the NOC list which can be found here, you must find which occupation you belong to and then read the description or lead statement. The lead statement has all the duties and responsibilities that the person does when in that job. You must be able to prove that you have done all the duties that are listed in the lead statement through your work experience. A completed foreign credential and Education Credential Assessment from an approved agency which shows that your education is equal to a secondary (high school) or post-secondary Canadian degree. Fulfilling one of these requirements will gain you more points and increase the chances that your profile will be chosen from the pool of applicants. You must meet the minimum points for either English or French as they are standard languages in Canada. The requirements for speaking and listening are Canadian Language Benchmark – CLB 5 and for reading and writing (CLB 4). You must also take approved tests for speaking, reading, listening, and writing and enter your results on your profile. Depending on your level of experience in your trade, you will have to be assessed and get a certificate of qualifications from a provincial, territorial, or federal body. After finding the trade and NOC number for your occupation, you must visit one of the websites of the places below to find which body governs your trade and seek out the assessment. If your trade is federally regulated like airplane mechanics for example, then you must find out who regulates it through the Canadian Information Centre for International Credentials website. You can live in any of the provinces of Canada if your skill is applicable, except for the province of Quebec. This province selects its own skilled workers through the Quebec-selected skilled-workers program. To check whether you are eligible, visit the Canadian Government website and answer a few questions. At the end, the results will show you whether you can apply for the FSTP program or not. How to apply for the Federal Skilled Trades Program? Once you determine that you are eligible for the program, then you must go through several steps to submit your profile and application. Proof that you have enough funds to cover your travel and first few months of living in Canada while you find a job. It is a good idea to have all these documents gathered so that you do not take too much time to submit them if you are selected. To submit your profile, you must have a Government of Canada account. You can open one by following this link and using your banking details or a Government of Canada login (GCKey). From there, take the eligibility test which will determine whether you are eligible for FSTP. If you are eligible, then you will be redirected to completing your profile. You will have to enter information from your documents which include personal information, employment and education records, language proficiency, etc. You will also need to have your National Occupational Classification (NOC) code for your specific skilled trade. You do not have to immediately submit your profile. You have 60 days from the moment you start completing it to submit it. If you do not submit it within 60 days, then you will have to start all over again. The FSTP works on a ranked points system from a pool of applicants. Each year, the Government of Canada will select people from the pool of applicants and invite them to apply for permanent residence. The selection is determined based on the information you submit and the points that each qualification earns you. 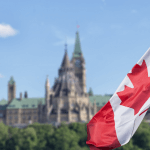 The Canadian Government determines the points for each information such as education, employment, or language proficiency and then ranks the applicants. Those who rank the highest get selected and invited to apply. Note: You can find an explanation of the Express Entry system and the points system by visiting our article here. In the meantime, while you wait for this process, you can work on improving your scores. If you did not have a job offer when you submitted your profile, you can look for one and then update your profile. You can also improve your education or employment qualifications by taking courses or getting jobs in your home country which make you more experienced in your trade. You can also retake language tests to improve your results. Any improvements you make, you must update your profile accordingly to increase your chances of selection. If you are eligible for the program and your score is the highest ranked then you will be invited to apply for permanent residence. The invitation that you get will inform you of the next steps you must take and you can choose to accept or refuse it. If you refuse your application, then you cannot change your mind. You will have to submit a profile all over again and then wait to be selected. The invitation will let you know the procedure of applying for permanent residence. You will have to sign in to your account, follow the links provided and fill out the necessary forms. You must provide all correct information in your forms and complete all the mandatory fields. After you complete the forms, you must submit your supporting documents which you have gathered in the steps above. Scan your documents and provide certified translations if they are not in English or French. Upload them to the system and make sure they are of good quality and legible. Your passport must have longer validity than 6 months for it to be acceptable. After submission, the decision of whether you are given permanent residence in Canada or not will be given to you in 6 months or less. The Canadian Government will inform you and let you know of the next steps you must take if they approve your application. If you are denied, then the notice will state the reasons and you can improve your application the next time.